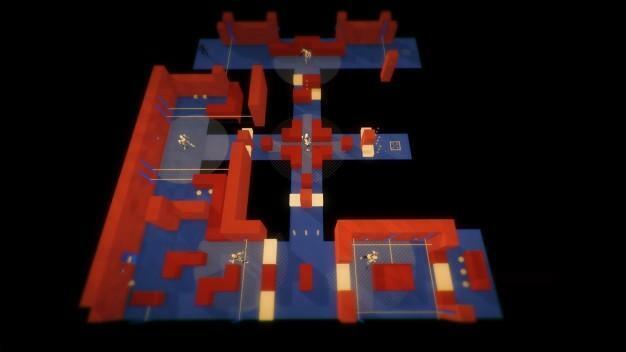 When a new game based around the idea of sneaking your way in and out of tricky situations hits the market, you can be sure that it will attract the attention of gamers who enjoy spending their time trying to avoid, distract and evade their way to victory. 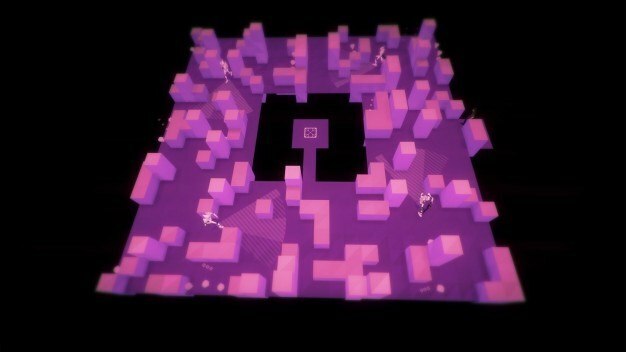 Mike Bithhell, owner of Bithell Games and creator of the titular hit Thomas Was Alone, has released his next game that is sure to gain an instant following simply called Volume. In a world that is controlled by the powerful elite who hoard the worlds resources and leave the common people to fight over the scraps, a Robin Hood of sorts emerges to equal the playing field. His mission is to steal from the rich and give to the poor, using sneaking, distracting and avoiding to make his way into the lairs of the wealthy to take back what they have stolen. You take on the role of Rob Locksley, a Robin Hood of the future that doesn’t believe in killing but it not above stealing from the rich what they have taken from the poor. 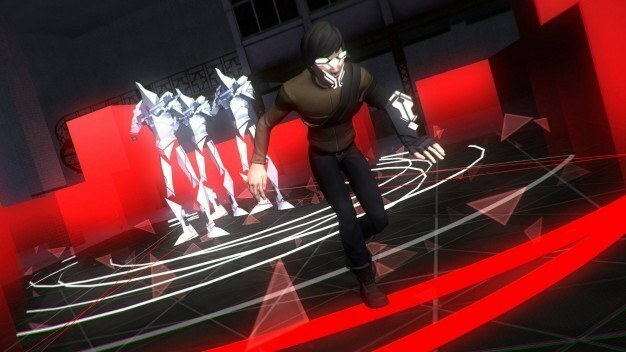 Volume is a game of stealth and evasion where you must outsmart the enemies by staying in the shadows and using every tool at your disposal to keep from being detected. The game is packed to the gills with 100 levels to sneak around in while providing cool gadgets to use to avoid, distract and evade detection. These missions are very reminiscent of the VR Missions in the MGS series turned up to 100. Levels start out pretty easy but as you progress, the difficulty ramps up, ensuring that you have a challenging and fun experience trying to make your way to the end of each level. You can slip into cover by hugging walls or whistle to draw the enemies in one direction while you make you way in the opposite direction, ensuring that you are never spotted and taken out. 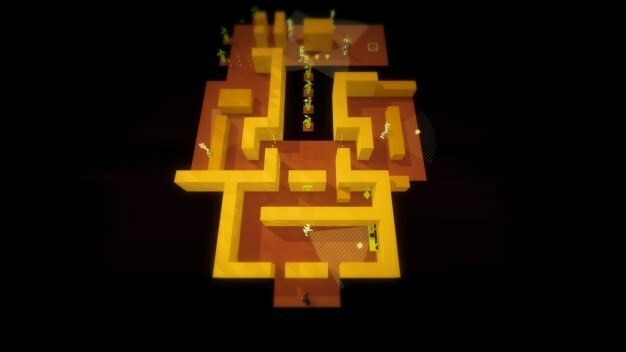 Levels are built on grids that are maze-like labyrinths that present different obstacles that you must overcome in order to make it to the exit point. The visuals in Volume are very futuristic and simple in nature. Environments are usually done in shades of one single color and give the impression that you are taking part in some sort of computer simulation. This helps to define clear paths as well as the elements in the environments that you can use to hide behind, to draw the attention of the guards or items that you can pick up and take with you during the level to use when you need to. Keeping the visuals simple helps to focus the gamer on the task at hand and doesn’t distract or otherwise take away from what you are there to do: using all of the skills and techniques available to you to make it to the exit point. How this game looks on screen sets the tone of the whole game and helps envelope the player in this dystopian future. The enemies cone of view can been seen so that you always know where they are looking and what direction they are traveling in. The sound effects and the music in Volume are top notch and really help to pull you in and make you feel like you are truly living in this corrupt world. The sound effects are spot on as your footsteps are a constant reminder that you are sneaking around in environments that could instantly mean your death if you are detected. The whistle of the main character as well as other objects that you can use to make noises that will distract the enemies are well crafted and sound very real. Each level is more dangerous and tricky than the last so your sneaking and evasion skills need to be sharply honed. The voice overs in this game are also very well done and help to bring the characters to life. Danny Wallace is the voice of Rob Locksley (the main character) and while his performance in the beginning is a little rough, he seems to grow into the character as the game progresses. Character actor Andy Serkis joined the cast as well to voice the character of baddie Guy Gisborne and, as always, gives an excellent performance. 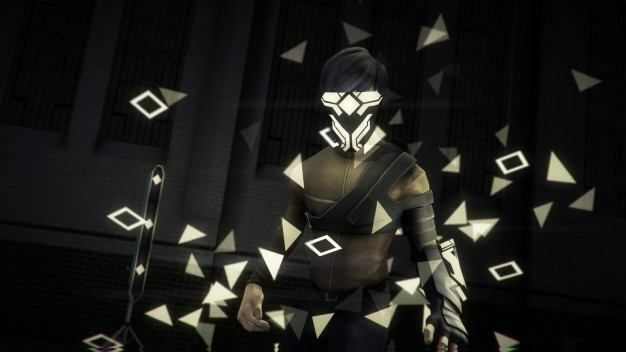 While the story in the game is a little thin, the premise of Volume is simple, however, and the execution can be very challenging causing you to bring out all of you skills as a gamer to succeed. It’s not often that a game will come along that seemingly never ends and this game is one of them. Even after you have completed the one hundred levels that the game comes with, the game offers a full set of creation tools to build and share your levels with the world. And to top it all off, the full campaign of the game can be played using the pre-made or user-generated levels creating an experience that never gets old and always feels new. Volume is available now on PS4, Vita, PC and Mac for $19.99 which is a steal at that price for all of the content that this game delivers.